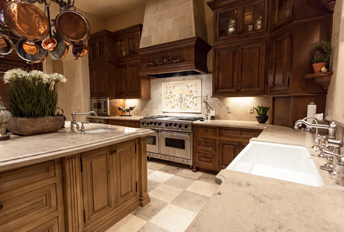 At InVision Construction we understand that your kitchen is the hearth of the home. For this reason we provide a rare design build model in which InVision Construction handles your kitchen remodel in house with our team of staff experts. This model allows you to work solely with one company’s employees, building relationships with specialists who are committed to your project’s successful completion. This team comes with decades’ worth of knowledge about zoning and building standards; whether you are remodeling your current home or building from scratch, our team can provide realistic estimates and timelines to make your designs a reality. Working together in a collaborative environment, our on-staff professionals, all leading experts in their fields, seamlessly handle the details of your project from the first day you contact InVision to the last day of construction. InVision Construction develops the design parameters, construction methods and budgetary goals of your project, keeping in touch with you every step of the way. The keystone to our success as a company lies in our streamlined communication channels between our team and you, the client. Your questions and concerns about time, budget, and materials can be answered promptly by in-house specialists striving to provide you with the best possible experience of the construction process. Our experienced kitchen designers bring with them the knowledge of any number of successfully completed projects. Their expertise is at your disposal to build the kitchen that will serve you and your family best. We refer to basic principles of kitchen design then allow you to customize these standards to suit your needs. Getting started is the most overwhelming part of remodeling a kitchen, so call us today to start work on your ideal kitchen design. Give us a call at (601) 376-9654 or drop by our offices in Brandon; we’re open from 8:00-5:30.